Because it’s a V8 Focus, that’s why. 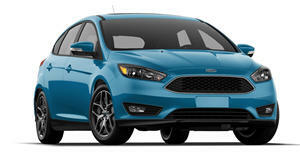 Have any of you American CarBuzz readers ever felt cheated because Europe gets all of the really great versions of the Ford Focus? Well, if you’re really determined to have the most badass Focus imaginable, you might want to consider the option shown in the following video, converting the car to rear-wheel-drive and dropping in a V8 out of a Mustang. There are actually kits for this kind of thing, and they’ve been around for a while. But what’s really great about these kinds of things is that the kits are now also made for the new(ish) Coyote 5.0 V8.